The capital city is an excellent spectacle and one not to be missed if you’re in Malta. The beautiful sandstone is a striking sight even at a distance. Valletta’s distinctive fortified bastion walls can be seen a mile off, boldly rising from the Mediterranean Sea. Behind this, the city’s buildings increasingly grow in size, where steeples and domed churches can be seen; the pronounced architecture resembling steps in their growth. Its magnificence and splendour has helped it be recognised as a UNESCO World Heritage Site. Valletta is truly a historic gem; 320 monuments contained within an area of 55 ha make it one of the most impressive historic cities in Europe. 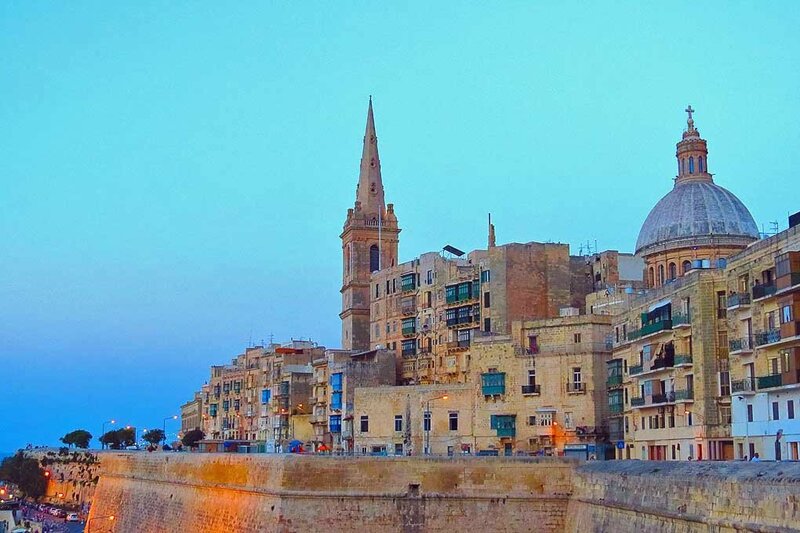 Valletta’s distinct history no doubt helped shape the charming city it is today, and much of it remains in incredible condition. In fact, it’s not too far-fetched to think that little of Valletta’s cityscape has change since its inception. It’s this rich past that can be attributed to its distinctive architecture including Baroque detailing on grand buildings as well as opulent interior designs. A perfect example of this is St. John’s Co-cathedral. Highly regarded as one of the world’s finest cathedrals, its lavishly decorated interior consists of breath-taking honey-hued walls and decorative paintings as well marble floors. Below these, lie no less than 375 tombs belonging to the Knights of Malta. These were the Christian Military force prominent in the Middle Ages and responsible for the erection of the cathedral itself in 1566. 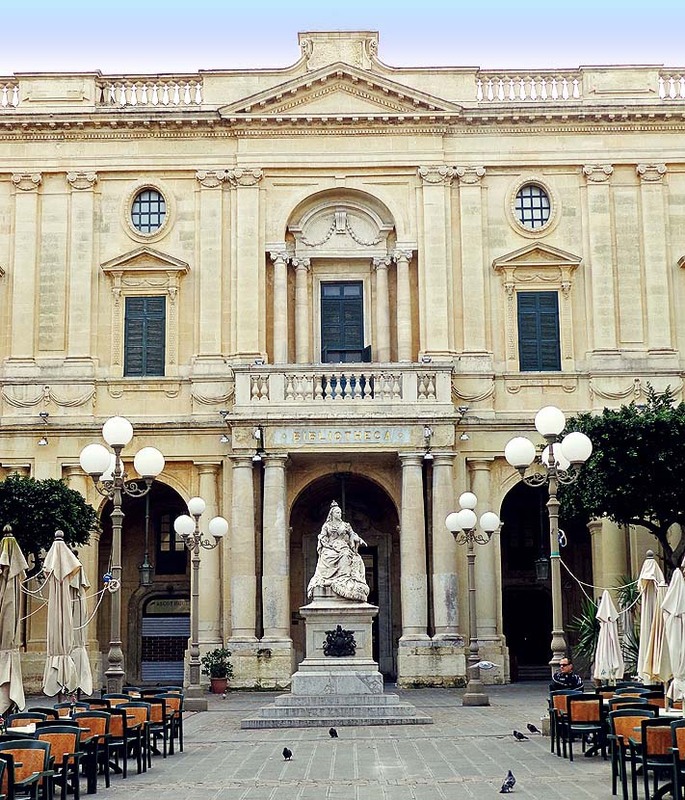 Valletta is a museum of a city, and certainly feels more of an experience than a visit. 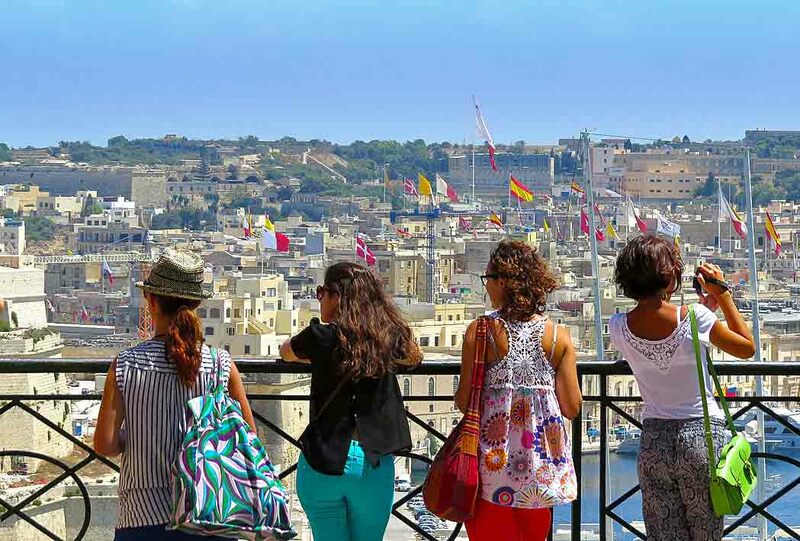 Its grand gardens, striking architecture and unique charming character has also earned the highly respected accolade of being 2018 European Capital of Culture, making Valletta as relevant today as ever. The islands staged the epic isle of MTV Summer Festival since 2007, featuring the likes of Snoop Dogg, Nelly Furtado, and Lady Gaga. As for the rest of the year St. Julians and neighbouring Paceville are where the parties are. Culture vultures are in for a treat too, with ancient sights and UNESCO – listed buildings around every corner. I go back to Malta & Gozo every year with my family and friends and we always have a great time!! !